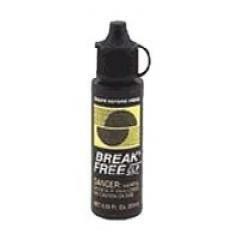 Break-Free is a single lubricant that can clean, lubricate, and preserve your weapon. This removes firing residues, carbon deposits and other contaminants. CLP is a scientifically formulated blend of more that 15 chemicals including highly refined synthetic oils, polyetrafluoroethylene, solvents, rust inhibitors and extreme pressure additives. It is nothing less than a complete firearms maintenance system in a single can or bottle. It eliminates the need for separate applications of power solvents, bore cleaners, gun oils and greases.